Naples is the city of Florida State. Naples is a world-class golf and popular destination for shopping. Every day plenty of visitors go to and from Naples by using a different mode of touring such as by monorail, by airplane and by ground transportation like shuttle van or shuttle bus. Although there are several transportation companies in Florida State but Go, Florida Shuttle is one of the best ground transportation services. 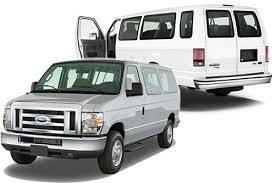 The most suggested, suitable and affordable transportation shuttle service in Florida State. Here you can learn about how to travel cheaply between Naples and Tampa through shuttle service. Our shuttles transportation service is assisting almost 40+ cities in Florida State. Now we are going to lead you how to travel from Naples to Tampa. As you know Naples and Tampa both are the most famous tourist destination in Florida State and these two cities are worth observing the target with family and friends. Organize your vacation and let us move you to and from Naples. In Florida State, Go Florida Shuttle is one of the best dependable ground transportation services wholly with the low fare, convenience, and comfort. We give seven days a week transportation services from Naples to Tampa through the most frequently used highway i-75. We also help other cities like Naples to Miami, Naples to Orlando, Naples to Kissimmee and Naples to Tampa. Our Shuttle services is a low-priced and excellent way to travel within Florida State. We aim to provide you the unique and cost-effective way to transfer between Naples and Tampa. We allow two type of shuttle service first one shared shuttle service and the second one is private shuttle service. Our shared shuttle service is budget friendly and fastest way to travel. In the shared shuttle service we will pick up you from our main stations. On other hands, our private shuttle service is the door to door service. We give you pick up according to your time and destination. Some Naples tourist transportation organizations depart an hour later or earlier. But it all depends on where in Naples Florida you are getting picked up. So please don’t waste your time on watching further, travel with us and preserve your time and money.